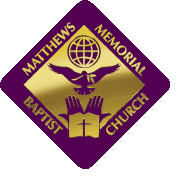 The Matthews Memorial Baptist Church Child Development Center is accredited by the National Academy of Early Childhood Programs, a division of the National Association for the Education of Young Children | NAEYC]. We provide planned, full-day curriculum to help each child reach his/her intellectual, physical, social, and emotional potential. Meet the people that make our company special. These are the people that work day in and day out to make your dreams come true. These are just some of the clients we work with. Click through to see our entire portfolio.